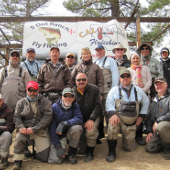 Providing Excellent "Stillwater" Fly Fishing Experiences at Crowley Lake, Bridgeport Reservoir, Big Bear Lake in Southern California, The Eastern Sierra and Beyond! Let me guide you to a fantastic "stillwater" fly fishing experience and memories that will last a lifetime! If you are a club, shop, or group and would like to set up a stillwater clinic, please contact me. 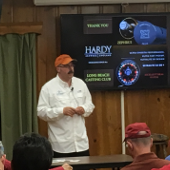 I love speaking to fly fishing clubs and shows. Teaching stillwater fly fishing tactics is my passion.